Nagios is a popular system monitor that offers monitoring and alerting servers, applications, services, network devices… It’s very modular and multiplatform, because the core of nagios is the processor of the output of the plugins that can be developed in different language Perl, Java, C, Python… Also Nagios allow get information with the snmp protocol like cpu load, process that are running, disk space, network interfaces, etc. 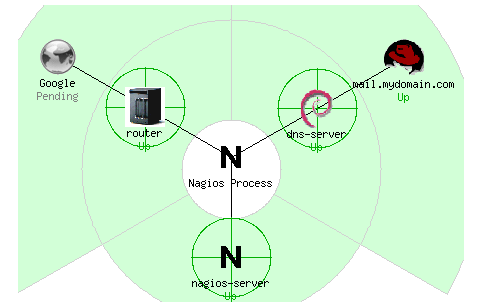 /etc/nagios/cgi.cfg : Setup of web access features. 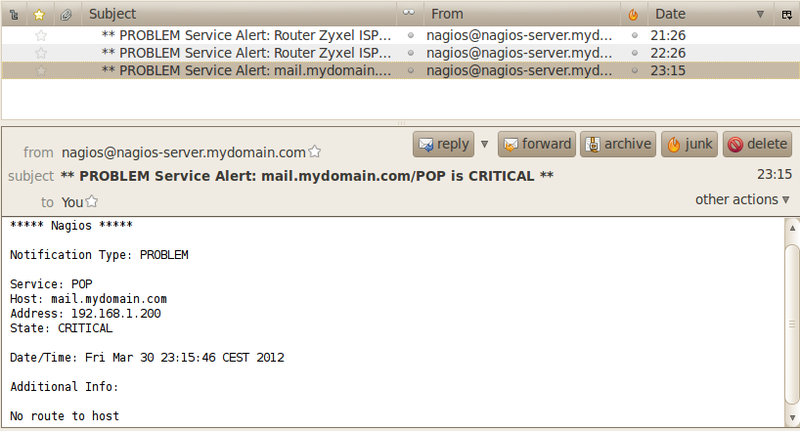 /etc/nagios/private/resource.cfg : This file config is used by Nagios to define internal variables. /etc/nagios/objects/*.cfg : This directory are by default files with definitions of services, contacts, hosts, groups, timeperiods, commands… used by default config of Nagios. /etc/nagios/objects/templates.cfg : default templates defined by default. This contact templates use mail notification, time timeperiod for host and service 24×7. 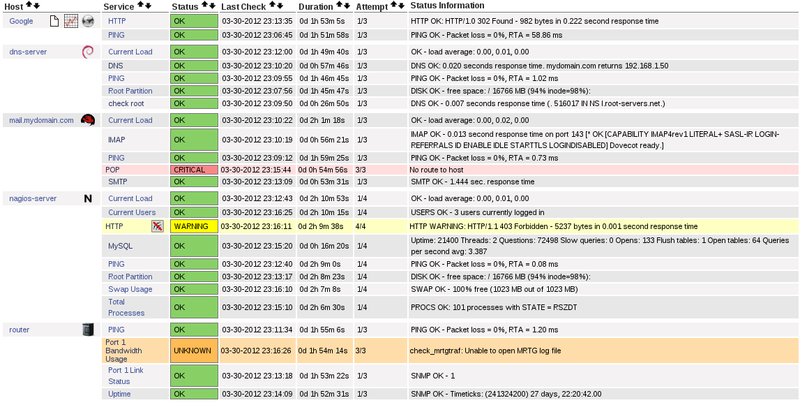 Nagios must be restarted for each change.